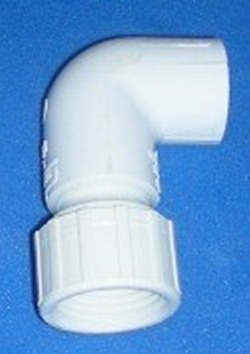 3/4" Female Garden Hose swivel by 1/2" Spigot. This is also 3/4" Garden Hose by 1/2" Irrigation Hose, aka 3/8" IPS. 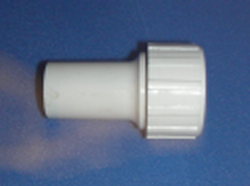 3/4" Female Garden Hose swivel by 1/2" SLIP SOCKET 90. Overall length 3".